What is the best two-way radio for skiing? Next to having two skis on your feet a two-way radio is a vital part of making the most of your time on the slopes. These two-way radios are designed with skiers in mind. Whether it’s a day or a week on the mountain, staying in contact with your ski group helps ensure everyone’s enjoyment and safety. But choosing a radio is a big decision. There are lots of features to consider, and lots of scenarios that make one better than another. The two-way radios listed below are among the best for a multitude of mountain situations. Owning one of these radios is the best ways to help every skier in your group make the most of their time on the slopes. Veteran skiers know that cellphone coverage is spotty. It might be good at the bottom or the top, but when the chalet or the lift is out of sight that’s when the need for a reliable form of communication is most needed. These radios aren’t just for skiers. A piece of equipment should be versatile, and these walk-talkies are just that. During ski season they are among the best way to keep group members in contact, and in the offseason they are just as effective for hunting, fishing, hiking, cycling, or any other outdoor activity. 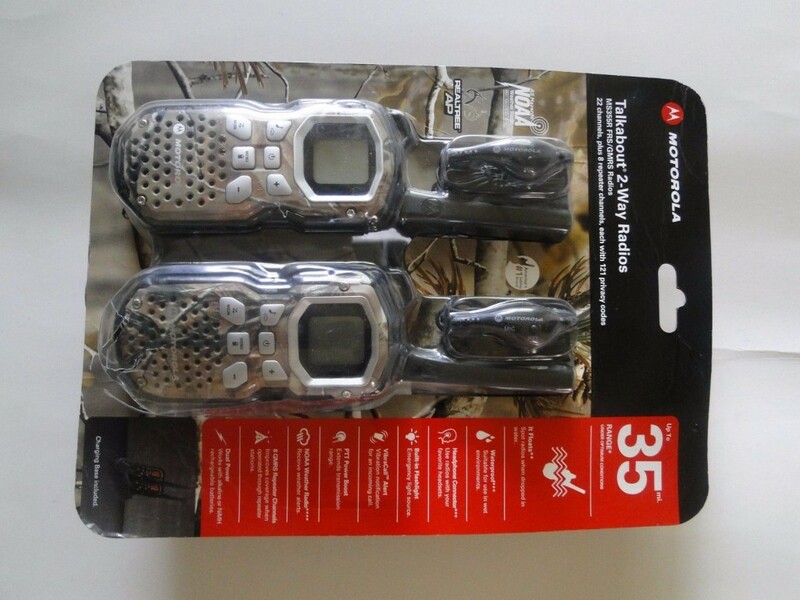 If you want to be safe on the mountain, during any season, these two-way radios are the way to go. Below is a comprehensive buyer’s guide for skiing two-way radios. Skiing is all about maximizing your time on the slopes. When considering a two-way radio think about where and how you’ll use it. Do you need range or battery life? How far will the person on the other end be? What kinds of conditions do you anticipate? Answering these questions will help you find the best two-way radio. Some skiers need a unit with lots of power so that communication stays crystal clear from the other side of the mountain. Other users might benefit from a radio with lots of utility, be it access to lots of channels or an extended battery life. Whatever your needs this guide will help you make the best decision for your skiing excursion. The following table gives you an over view of top selling skiing two way radios. ** Please note that range actual range will be affected by several factors including, but not limited to: terrain, weather conditions, electromagnetic interference, and obstructions.Typically manufacturer advertises the maximum range. **Prices are written when we originally wrote the article and varies depends on many factors. This radio connects users up to 36 miles away in ideal conditions and has 50 channels. At its price point this walkie-talkie puts utility before functionality. Ski groups will appreciate the 142 privacy codes: even during ski season conversations remain private. The SOS feature is a must for anyone spending time on a mountain, and with 10 NOAA weather channels skiers can monitor the weather from atop the mountain. The GXT100VP4 is a basic two-way radio with no frills. Watch the following videos of Midland GXT1000VP4 two way eadio review.This GXT1000VP4 video explains how to operate radio,scanning channels and changing the battery etc. The TALKABOUT T460 has a 35-mile range in ideal conditions. The 10-hour NiMH battery life keeps skiers on the mountain rather than at basecamp waiting for a charge, and if in a pinch 3 AA alkaline batteries can be used. For skiers who stay on the mountain all day the IP54 waterproofing withstands the wettest conditions. 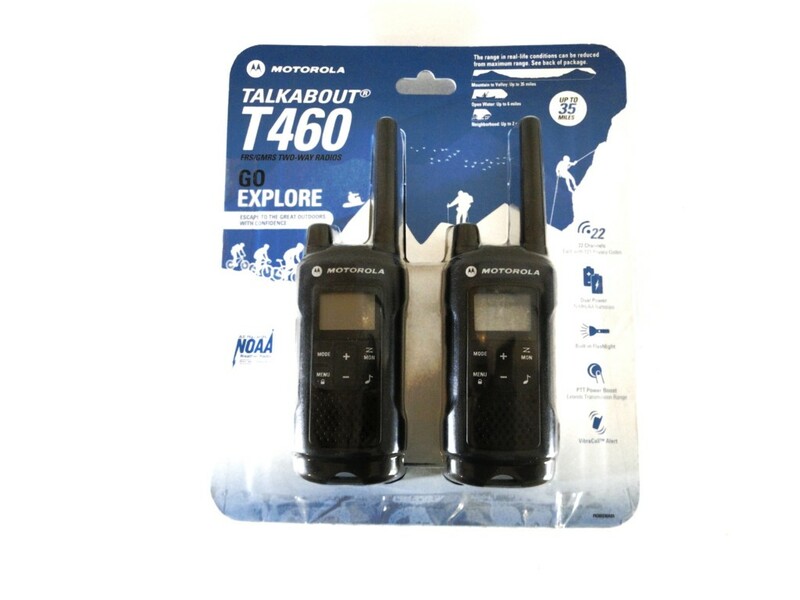 The TALKABOUT T460 two-way radio also has a selective Push-to-talk power boost button that boosts the output signal for when you need to contact your fellow skier who would otherwise be out of range. This radio has 22 channels and 121 privacy codes. The Uniden GMR5095-2CKHS has a whopping 50-mile mountain-to-valley range. Skiers need not worry about getting this two-way radio wet: it can be complete submerged in three feet of water for 30 minutes without any damage to the radio. Snowflakes and snow banks have nothing on this workhorse of a walk-talkie. And if you’re at the chalet’s hot tub and accidentally drop your radio it will float to the top for easy retrieval. This two-way also has a direct-call feature that allows two individuals to connect even in a group. It has an emergency strobe light built into the body and has 22 radio channels with 284 privacy channels. 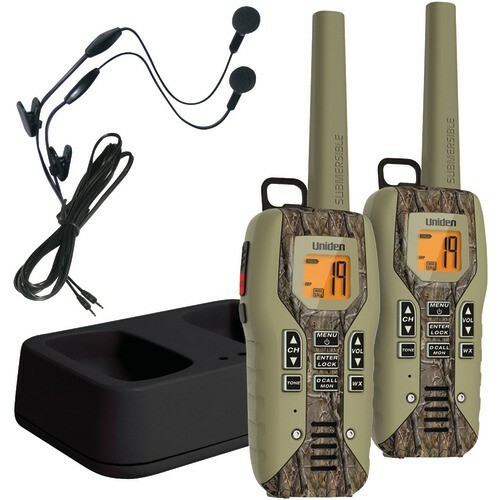 The GMR5088-2CKHS also has RealTree Xtra Camoflage pattern, a unique aesthetic to set your radio apart from others at the lodge. The GMR5095 and the GMR5088 are nearly identical. Both have a 50-mile range in ideal conditions and provide skiers with a waterproof way to communicate. Whether you drop it in a snow bank or plop it in a hot tub, these Uniden two-way radios will continue to talk. The direct-call feature is attractive for large ski groups: individuals can call one another without disturbing the rest of the group. What is lacking is the RealTree camouflage. What is not lacking is all the versatility, utility, and functionality of a Uniden. Another workhorse, the TALKABOUT MS355R is for serious skiers. 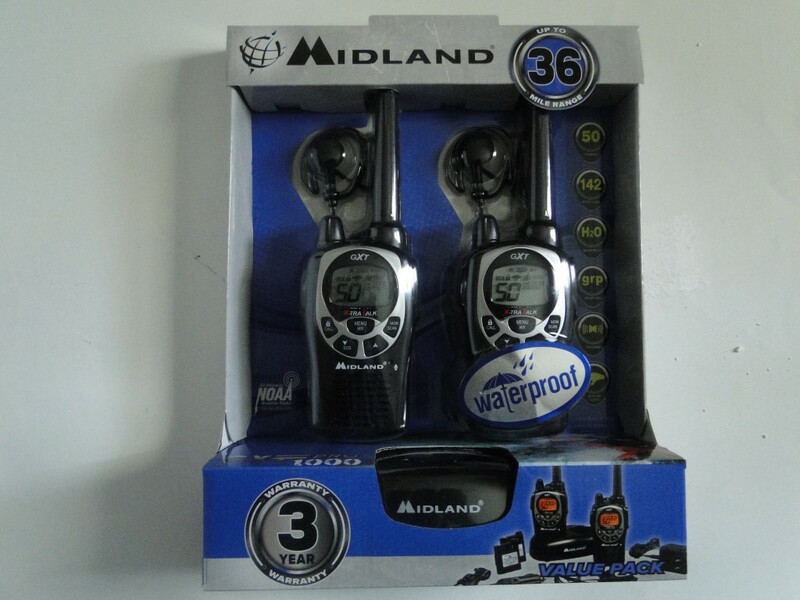 This two-way radio is waterproof up to three feet for 30 minutes without any damage to the device. The body of this two-way has an hourglass shape. You can stay a little warmer on cold days by keeping your gloves on while operating this radio. The easy-to-hold design is perfect for skiers bundled against the elements. For skiers in your group who have a knack for wandering out of range this two-way radio also has the option of acting as a repeater station which helps to carry your signal further. But don’t forget, you’ll need a GMRS station license to access this feature. Finding the best radio is one step in making sure your next ski trip is the safest and most enjoyable it can be. And be cautious about radios that advertise “GMRS” (General Mobile Radio Service) frequencies as well as FRS frequencies, because you will have to apply for a license and pay a fee to use those frequencies and GMRS gives better range and power than FRS radios.Everyone needs something a little different. Some need a radio with the ability to handle lots of people while others need something more straightforward for one-to-one communication. Other users might need a two-way radio with lots of range, and some might need a radio that will hold a charge for the duration of their adventure. The first skier can warn other skiers if they see pretty bad and dangerous conditions. This is the most important use of the two way radio that back country skiers can rely on. Two way radios used to relay the correct route to other skiers if you are down the slop below and confirm the best route. If one skier spot the best snow in their run on specific spots, he can call up the other skier to help them enjoy the best routes of the trip. If one skier descends out of sight and would like to know if the skier in front of you reached the safe zone, two way radios comes in handy to rescue out of the situation. 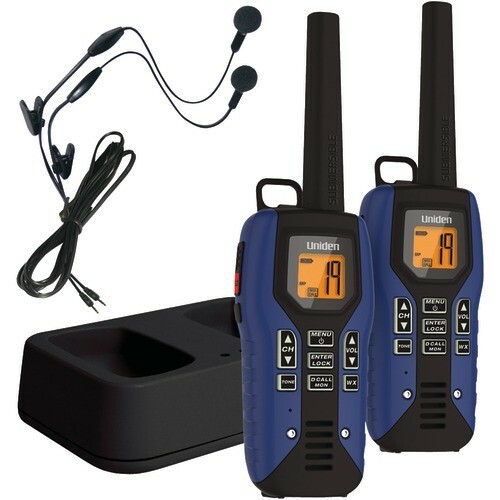 ← The Ultimate Two-Way Radio Buying Guide!